To challenge this misconception, I decided to play the nitrogen cycle game with my Year 9s this year. I first saw this activity in action from my student teacher, Smriti Mediratta, who is now a temporary teacher in my faculty. She adapted the activity from a range of websites such as this one. All you have to do is to place station signs that show reservoirs of nitrogen and place 1 dice on each sign. 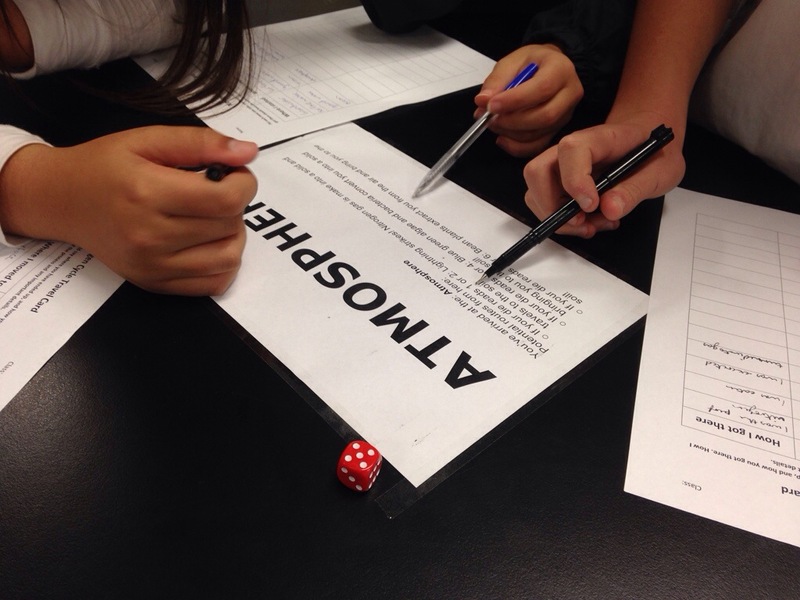 Students then role play a nitrogen atom and follow the instructions on each sign. On their nitrogen cycle journey, they fill out a worksheet to show where they went in each step and how they got there. During the activity, I heard one group say “We are going to soil again. We are always going to soil!” From this and the class discussion afterwards, it was evident that students understood that the nitrogen cycle is non-linear; that some nitrogen atoms might never go to all reservoirs and just go from one to another. I also found this activity to be effective in allowing students to physically act out the nitrogen cycle, which makes it more memorable than just reading a text and looking at a a diagram. If you are a science teacher, I highly recommend trying this activity with your students. This entry was posted in science, Uncategorized by Alice Leung. Bookmark the permalink.